It just occured to me that we are coming to the end of National Parks Week, where the parks are open with no admission fee. I ought to have posted something earlier in the week, but that thought missed me. Better late than never. The parks near Mount Shasta probably deserve lengthier posts in the future, but for the moment, a cursory look at them is worth while. There are two within reasonable striking distance of Mount Shasta. Crater Lake National Park, in Oregon is centered on the namesake lake. The other, Lassen Volcanic National Park, is also centered around its namesake attraction, Lassen Peak, the southernmost volcanic peak in the Cascade Range. Since both parks are found in the Cascades, they are naturally highlighting volcanic features. Both parks have awesome scenery with spectacular vistas, gorgeous trails and photo opportunities aplenty. They are also both close enough that they can be done as a longish day trip from Mount Shasta. A day (or more) at either park is a day well spent! Wizard Island and Llao Rock at Crater Lake. 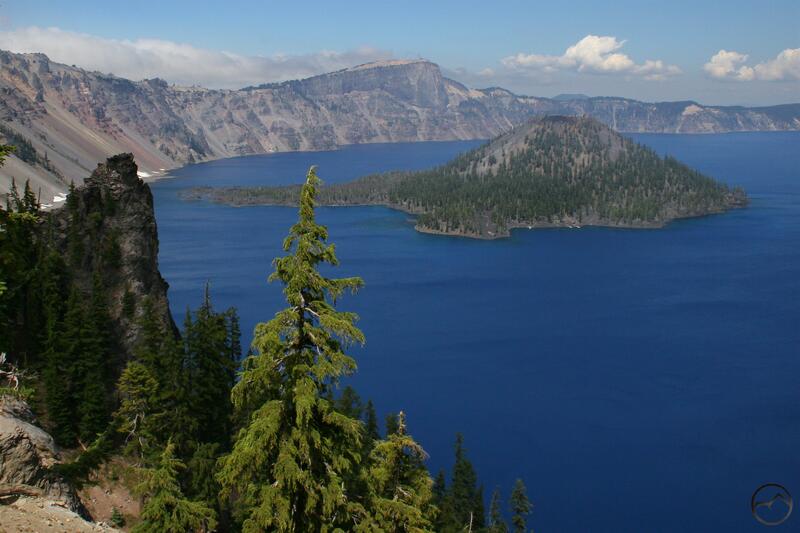 Oregon’s only national park, Crater Lake is one of the iconic images of the Cascade Range. The cobalt blue waters are stunning, as are the cliffs that ring the lake. Formed when ancient Mount Mazama (a near-peer to Mount Shasta) erupted and then collapsed in on itself, the resultant crater filled in with water. The lake’s deep blue comes from the incredible purity that results from having minimal biological matter in the water. The lake is also the deepest lake in North America and one of the deepest in the world. It is really a visitor’s park, as opposed to a hiker’s park. While there are some great trails at Crater Lake, the loop road around the rim of the Crater is the highlight. It has many easily accessed vistas that offer varying perspectives on the landmarks around the lake and the surrounding region. For those who do want to hit the trail, there are plenty of hikes too, but for the most part, many lack a sense of wilderness. The park does have a significant amount of backcountry, but most of it is vast forest with few noteworthy features. Nonetheless, whether you want to hike or just imbibe deeply from the phenomenal beauty, Crater Lake National Park is a fantastic jewel on the crown of America’s public lands. 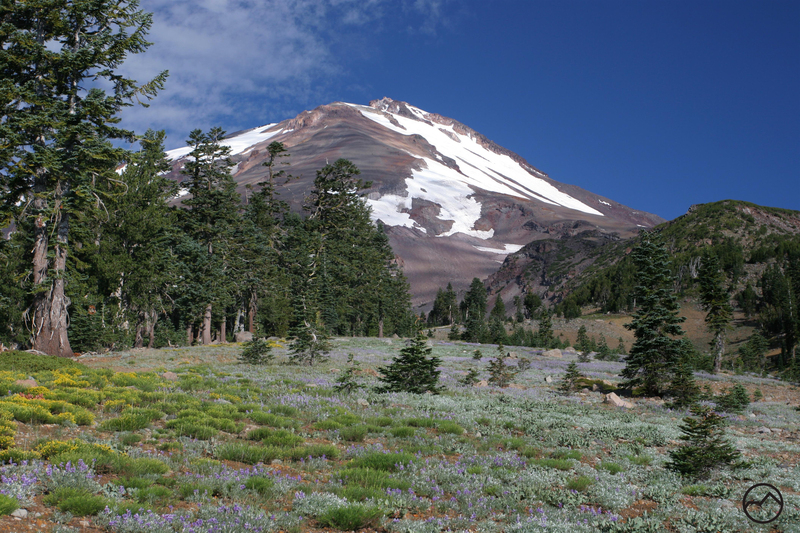 South of Mount Shasta lies one of California’s 9 national parks. 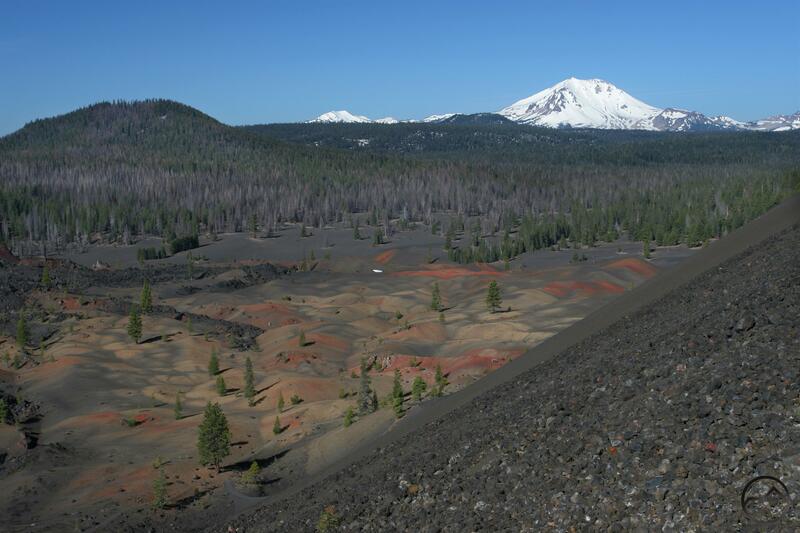 Lassen Volcanic highlights the numerous volcanic and geothermal features that are the remnants of another ancient and obliterated volcano, prehistoric Mount Tehama. Unlike Mount Mazama, ancient Mount Tehama did not leave a giant crater after its cataclysmic eruption. It left a massive pile of rubble from which a new volcanic peak has emerged. Like Wizard Island at Crater Lake or the new dome being pushed up from the remnants of Mount St. Helens, Lassen Peak is a giant bulge of lava being pushed up out of the ruins of the old volcano. These secondary formations are called plug domes. 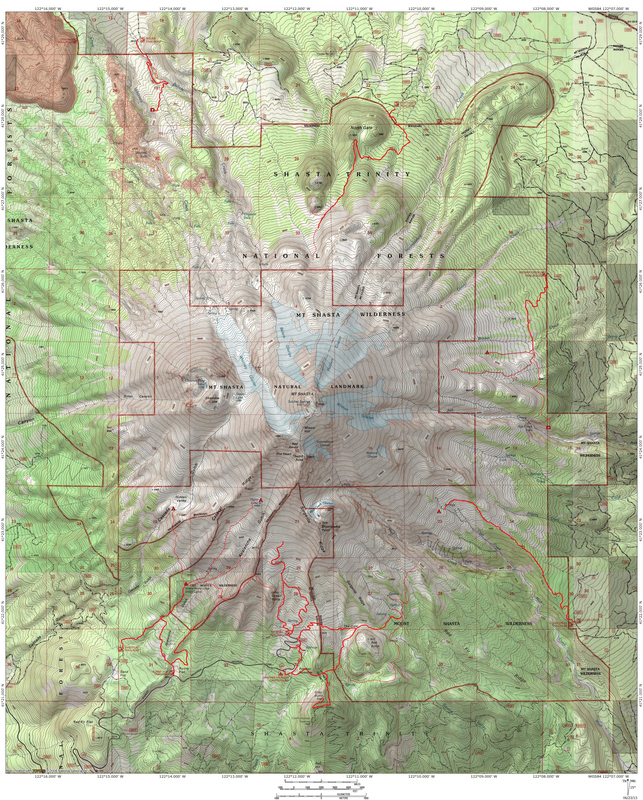 Indeed, Lassen Peak is the largest plug dome in the world. 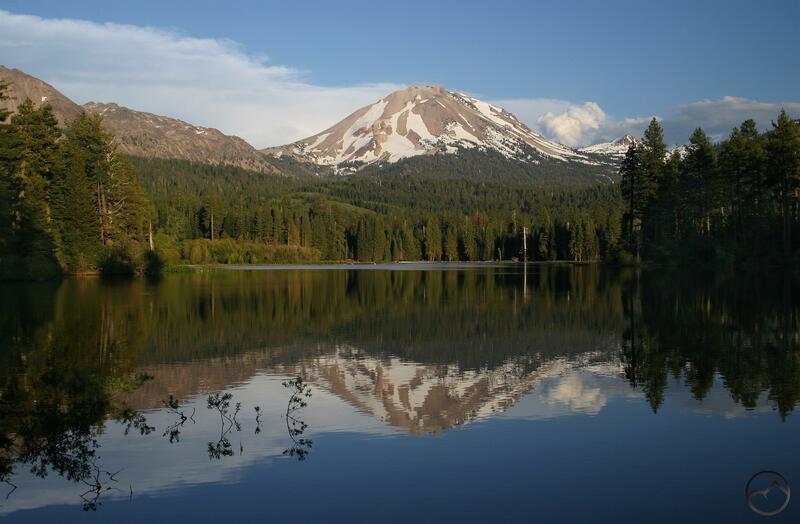 Along with Mount St. Helens, Lassen Peak is the only volcano in the Lower 48 to erupt during the 20th century. This is a hiker’s park. The park road provides plenty of spectacular scenery for those not inclined to hit the trail, but most of the best attractions, from the geothermal features at Bumpass Hell to the other-worldly beauty of the Cinder Cone, Painted Dunes and Fantastic Lava Beds, you must hike to reach and appreciate them. Most of the park is official wilderness and is conducive to both dayhikes and backpacking trips. Several lakes, both large and small dot the landscape, as do other volcanic features, ancient forests, clear streams and beautiful waterfalls. There are other parks operated by the National Park Service around Mount Shasta that don’t rise to the high bar of both scope and scenery set by the two parks that are still worth mentioning. Siskiyou County is home to Lava Beds National Monument, where there are an abundance of lava caves, lava flows and cinder cones, as well as historic battlefields from the 19th century Modoc War. Whiskeytown National Recreation Area, just west of Redding, has its namesake reservoir as well as numerous trails through remote forests and a surprising abundance of beautiful waterfalls. Oregon Caves National Monument, near Grants Pass in Oregon is a beautiful slice of the Siskiyou Mountains that include the intricate caves, as well as old growth forests, mountain lakes and scenic vistas of the vast Kalmiopsis Wilderness to the west. It also boasts the Oregon Caves Chateau, a classic example of NPS Rustic architecture and landscape design. All of these deserve greater attention on this site. Perhaps that will come in the near future. The park never came to fruition, due primarily to logging and railroading interests, but the mountain remains a wild, primeval place. Protection did come with the establishment of the Mount Shasta Wilderness in 1984. It may not be a National Park, but it obviously boasts staggering national park caliber scenery. I hope everyone continues to appreciate this area as much as I do!